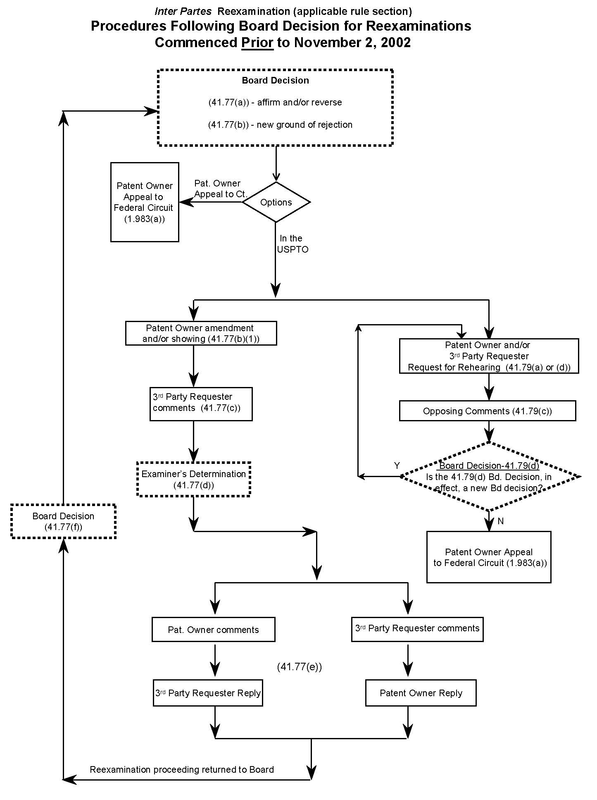 The flowcharts show the general flow for the various stages of inter partes reexamination proceedings. 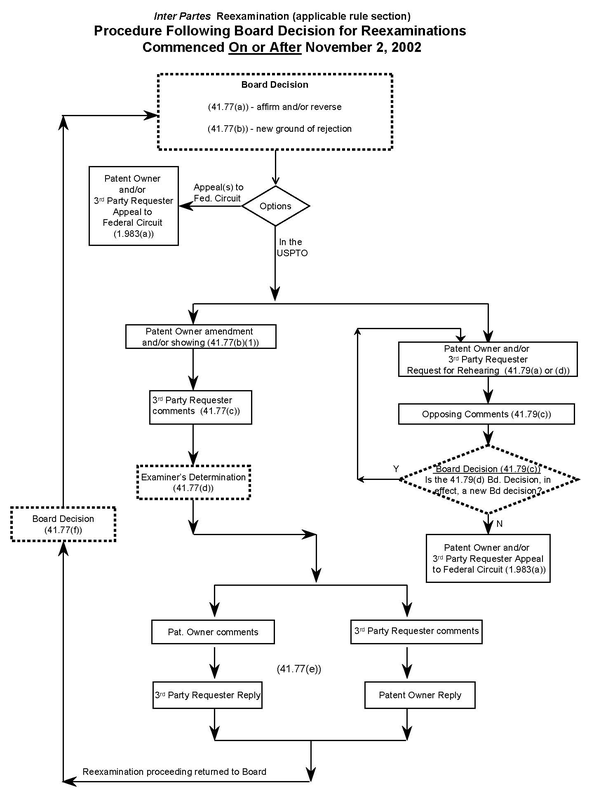 The first flowchart shows the procedures before appeal for a reexamination filed prior to September 16, 2011 (e.g., under the SNQ standard). Except for the standard for instituting reexamination, the same procedure pertains for an inter partes reexamination filed from September 16, 2011 through September 15, 2012. 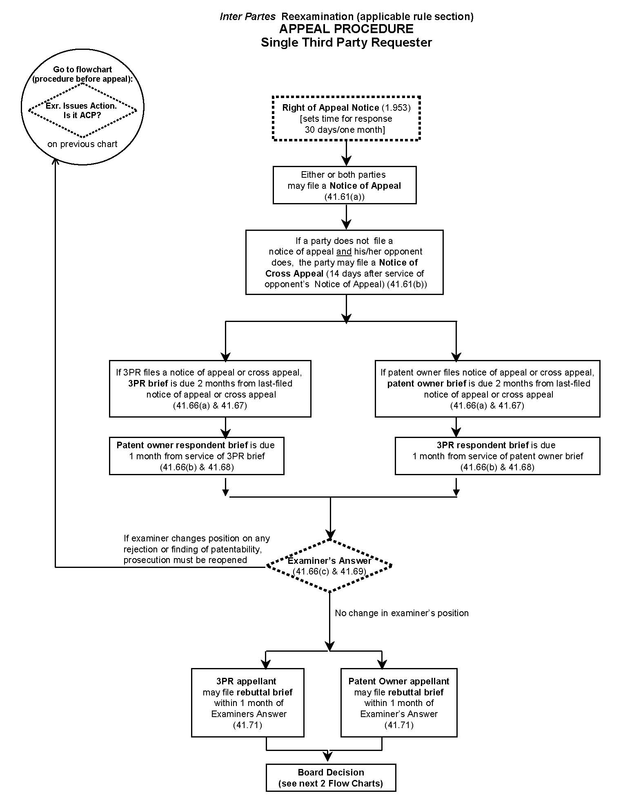 The second flowchart shows the appeal procedure with a single third party requester. 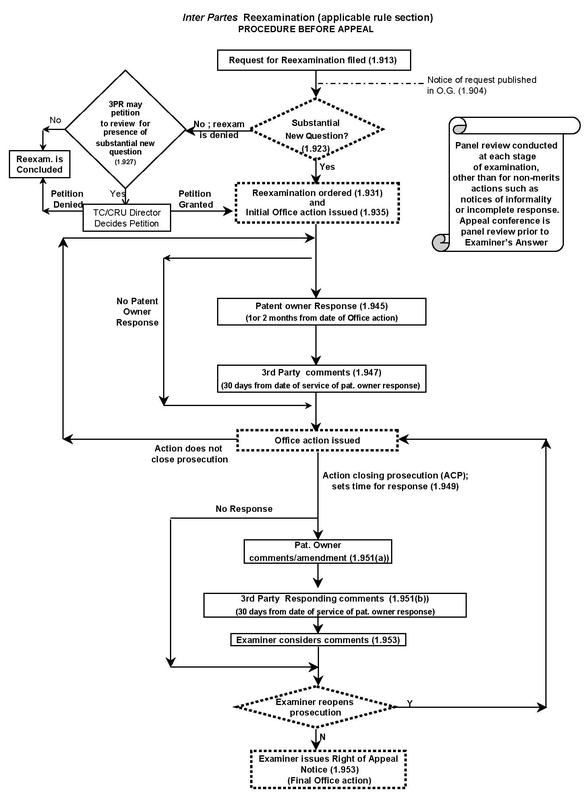 The third flowchart shows the procedures following a Board decision for reexamination proceedings commenced prior to November 2, 2002. The fourth flowchart shows the procedures following a Board decision for reexamination proceedings commenced on or after November 2, 2002.